Tech news continues to be dominated by stories about the massive data breech at Sony. While there is still little known about exactly who is behind the attacks, some security experts have stated there’s a good chance that the hack began with phishing attacks aimed at Sony employee emails. This highlights just how important it is to use the same safe online behavior with your work account as you should with your personal email. 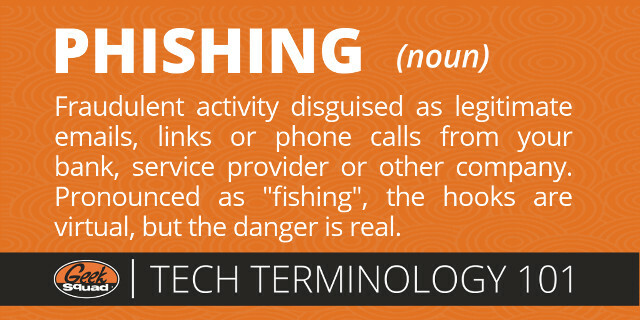 The Geek Squad Blog has tips on how to avoid being hooked by a phishing scam, and I had a chance to share several in our #TechTuesday segment on the Wills and Snyder Show this morning on WTAM 1100 Newsradio. Click the play on the player above to listen.